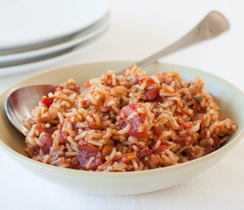 The brown rice in this recipe boosts daily fibre content – important for heart health and weight maintenance. Make extra and freeze for an easy anytime meal. 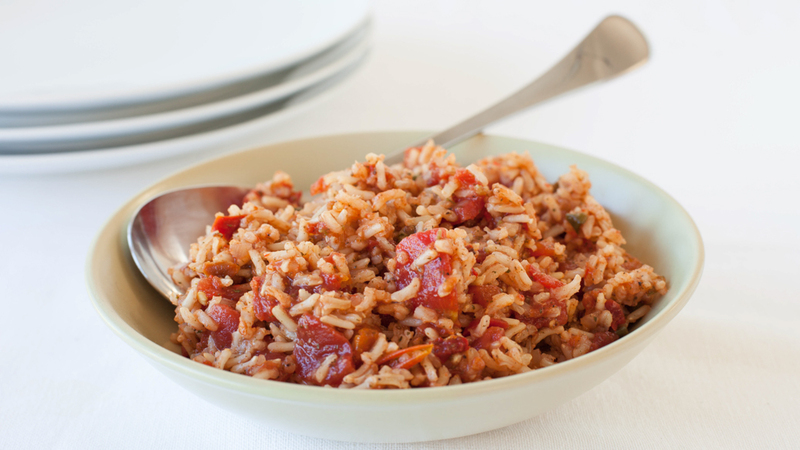 In a large pot, add Jambalaya Recipe Seasoning Mix, rice, water and tomatoes and set over medium-high heat. Allow to simmer without stirring. Reduce heat to medium and cook for 40-45 minutes. Serve.